Check out these slot games here on Wizard Slots. Do you have an appetite for adventure? That is exactly what Chibeasties, a game by Yggdrasil, will test. The game’s concept is as strange as its name. Players will travel into a magical forest to look for unseen creatures –Chibeasties while rich rewards along the way. Your task is to find four types of Chibeasties and when you do, you’ll be awarded all sorts of prizes. You’ll also run into strange looking vegetation growing in the forest. 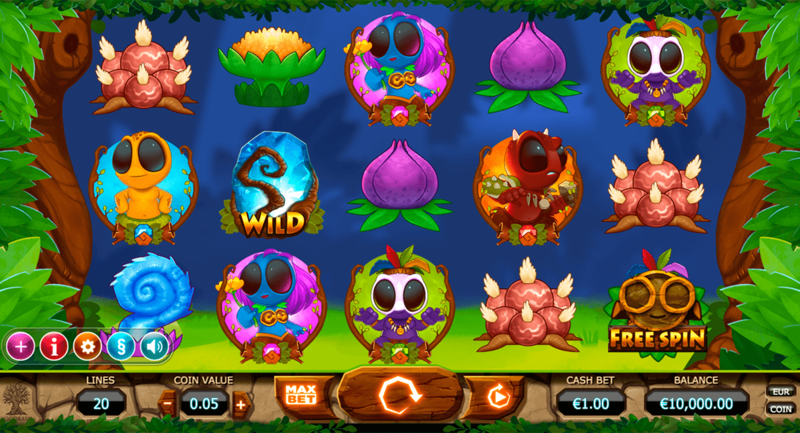 One of the rewards is a chance to play bonus games like Wild Chibeasties and a Free Spin Feature with random growing symbols. Stakes start from 0.2 coins a spin on 20 paylines. Yggdrasil Gaming is known for providing superior mobile and online casino slot games. Since their conception in 2013, they have slowly climbed up the ranks and established themselves among industry giants. This company is now one of the online slot gaming industry’s most valued and admired suppliers. Their reputation has earned them a chance to provide slot games for some of the world’s largest casino operators. Yggdrasil Gaming are new here and you can play their slots and games at Wizard Slots online casino. Join and learn more about slots games at Wizard! The forest that is home to the ChiBeasties is one of mystery and wonder. These creatures are cute, but look very strange, so don’t be too surprised. A few theories suggest that they might have evolved from other life-forms found in the forest, others say they could have arrived from another planet, but no one except the technicians at Yggdrasil know for sure. Their origin shouldn’t concern you way too much though. Focus on loads of prizes in store for you when you find them. Look into this list of best slots based on their bonus features and more. Start earning your rewards when you find some of the forest vegetation. 3 to 5 vegetation symbols award 80 coins. Some of these plants include a water lily, a blue plant that looks like a snail and a strange large root which looks like many potatoes glued together. If you are wondering if they’re poisonous, you’ll need to play the game to find out. The ChiBeasties look too cute to be dangerous. The four different types include yellow, blue, purplish white and a brown one. The yellow one pays 200 coins, blue one 300, the purplish white 400 and the brown one 750 coins. Wild symbol- The Wild Totem-ish ChiBeastie can replace any other symbol to form the highest available winning combo. Free spin symbol- The game has a free spin symbol which can activate bonuses if you collect 3 to 5 of them. 3 generate 10 free spins, 4 generate 20 spins, and 5 generate 40 free spins. 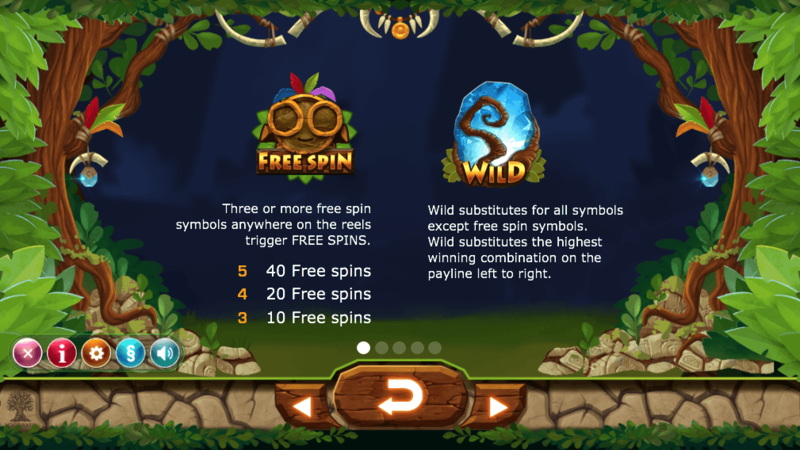 Bonus wild- One random symbol becomes a wild after you collect your free spin prizes. If you win any additional prizes with this wild, you end up collecting them at the end. It seems there’s no limit as to where Yggdrasil can stretch their creativity. In ChiBeasties they literally transport you into another universe. The game doesn’t have as many bonus features as most of their games, but it has several opportunities for gamblers to score wins and great prizes. Give it a spin to see the cutest monsters you’ve ever seen, but other than that, there’s little here that will blow your socks off.